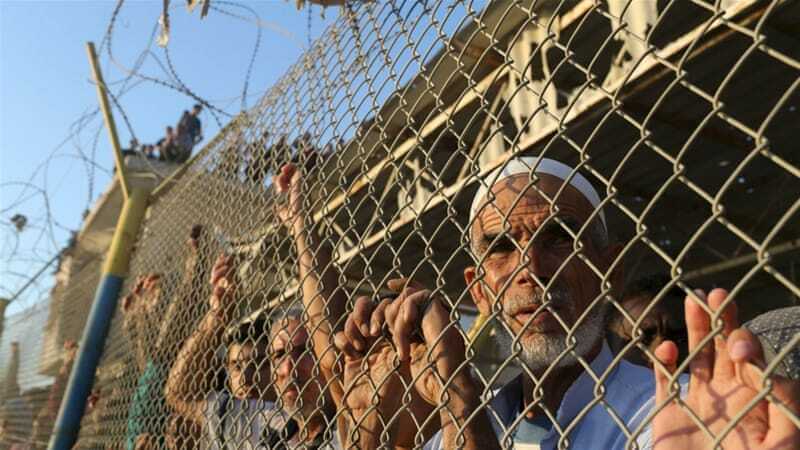 It is a place where life has long been cruel, were refugees forced out of Israel during the Nakba and families who have lived in Gaza for generations have suffered under dire conditions for nearly 70 years. Both Israel and Hamas – the forces with the most to lose from a genuine popular rebellion in Gaza – have failed to engage this movement, to understand the core motives the propel it or to evaluate its future. The protesters didn’t risk life and limb because Hamas told them to; they confronted Israel because they have nothing left to lose. Such is the daily reality of life in the Gaza Strip, the narrow Mediterranean enclave that is home to nearly half of all Palestinians living under Israeli occupation. Nearly two-thirds of Gazans are refugees or the descendants of refugees. 2 million people locked inside a land mass the size of Philadelphia, the borders carefully controlled, the movement of goods and humans severely restricted, the population facing food shortages and the young struggling with unemployment. Civil wars have started for a lot less. Hospitals are forced to rely on generators for life-saving equipment, while supplies of life-saving medicines dwindle to dangerous levels. Looming in the not-far-off distance, as water treatment and desalination plants, stop working, the risk that drinking water will run out, Isreal is hoping, along with this nourishment, so will hope. After a decade living in crushing poverty and isolation, the majority of Gazans are simply fed up – with everyone.